When A.J. Crawford died in 1969 at the age of 101, he left to the community in which he had lived for 71 years both a personal and financial legacy. 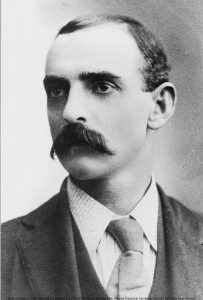 As a penniless young sheepherder who rose to self-made millionaire, he was a dominant figure in the commercial activity of this community for over seventy years. During his extraordinarily long and vigorous life he was the central force behind the commercial development of Carlsbad with major interests in the region’s ranching, retailing, real estate, hotels and banking. He attributed his transformation from sheepherder to man of property to a life of hard work and initiative within the context of a free enterprise system. But those whose attention was drawn by his life-long youthful magnetism recognized and were inspired by a rare and precious quality of the human spirit to which he truly owed his success. Mr. Crawford’s will included several generous bequests to local organizations, among them a gift of $500,000 to the non-profit Carlsbad Memorial Hospital. Shortly after his death, this institution merged with Carlsbad’s other non-profit hospital, Saint Francis Hospital to become the Carlsbad Regional Medical Center (CRMC). Nine years later, in 1978, CRMC was replaced by a for-profit hospital. As a result, the invested Crawford endowment became available for other use. Through this very unexpected turn of events, the Carlsbad Community Foundation was born and Mr. Crawford’s initial $500,000 hospital gift became a significant portion of the Foundation’s assets. The income from the investment of this gift has permitted the Foundation to successfully provide its service to the community. 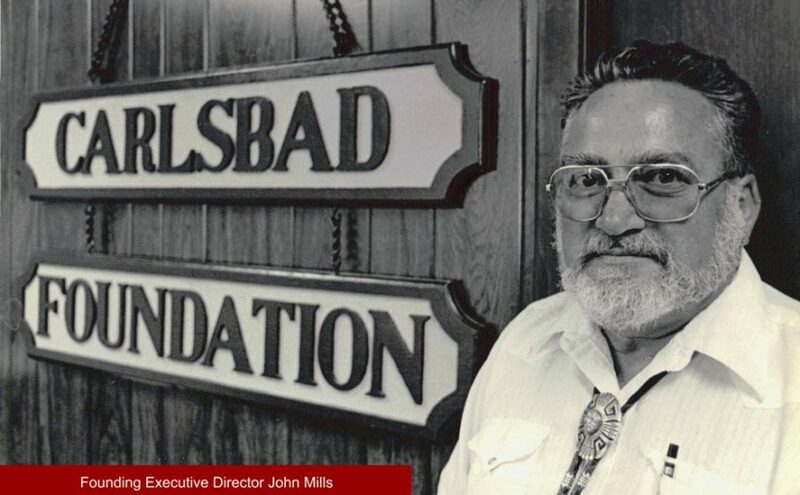 John Mills became the Foundation’s first executive director and guided the establishment of the organization until his retirement in 1995.